There are some fragrances that are so old, that have been used with so many prayers in so many rituals and are so deeply entwined with the human psyche that people claim they have smelled them before, even though they have not. The woody cinnamon-sweet aroma of agarwood (Aquillaria agallocha) is one of those mysterious fragrances. One of agarwood’s first mysteries is how it appears. Not every agarwood tree growing in Assam, Burma or other mountainous countries of Southeast Asia produces the treasured black resin that delights the minds and intoxicates the senses. First, the bark of the tree must be pecked by certain species of birds, which then renders it vulnerable to fungal infections. If a fungal infection sets in, the tree responds by producing a dark resin within the heartwood. Over time, this resin hardens into strange and exotic “sculptures”: dragon-shaped pieces of wood that bring tens of thousands of dollars from collectors, royal incense makers and priests. Agarwood also represents a fundamental mystery about humans. Why do we destroy the precious gifts of nature that can bring us healing, happiness, and wealth? Over the centuries agarwood has been plundered into near-extinction, with little thought for future generations. Now people are finally realizing that this tree and its magical resin is a great treasure that should be preserved, and efforts are underway to protect and regenerate its populations. Because of its high value, agarwood is now one of the foremost agroforestry products, so valuable that it offers a sustainable economic alternative to destructive logging. I first met agarwood during my studies of Chinese medicine, where it is used in teas for neurological problems, digestive disturbances, and asthma. I met it again in India, where it is a major part of Ayurvedic medicine and traditional incenses; the word agarbathi, meaning incense, literally translates as “lights of agarwood”. While studying Tibetan medicine in Nepal, I learned that agarwood was one of the Tibetan doctors’ primary remedies for emotional and spiritual diseases; this ancient tradition uses it to fumigate the rooms of those afflicted with psychiatric disorders, who are often diagnosed as being possessed by the “demons” of mental negativity. More recently, I have enjoyed the scent of agarwood incense during a traditional Zen retreat in a Buddhist monastery in Taiwan. In this temple setting, a large flat stone engraved with a spiral groove sits in front of the altar. Before meditation sessions, a layperson fills the coil in the stone with fine agarwood powder and lights one end. Throughout the meditation, the calming, hypnotic, yet spiritually uplifting scent wafts through the hall as the ember slowly spirals across the stone. Over the years I have encountered many forms of agarwood, from the resinous “sculptures” to one of the most mysterious preparations in the botanical kingdom: oil of oud. 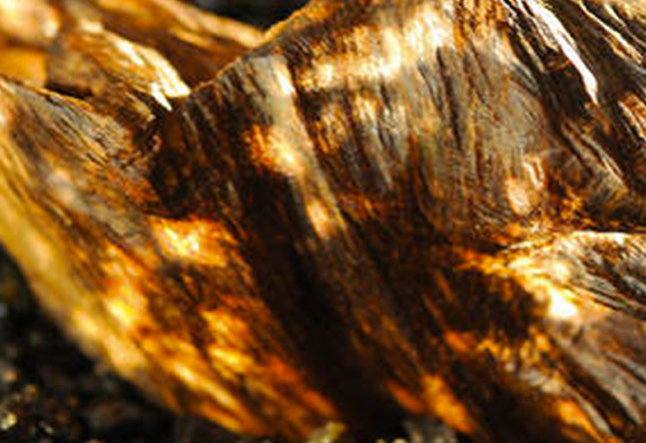 Oud is the Arabic name for agarwood; oil of oud comes from hydro-distilled agarwood chips. Because of chemical processes that happen inside the still, the oil does not have the sweet, woody spice notes that burning the wood produces; instead, it has an aroma that is a culturally acquired taste. Smoky, urinaceous, animalic and pungent, the thick oil is beloved by the Saudis and many Asians as an exotic perfume that slowly transforms into a musky sweetness on the skin, while working a powerful magic on the mind. Perhaps the most mysterious encounter I have had with agarwood happened while studying with the King of Nepal’s alchemist in Kathmandu, who described it to me as “the wish-fulfilling gem”. Use it wisely with a reverent mind, he instructed me, for it has great powers to manifest our thoughts and desires. He then proceeded to tell me how he gave it to those afflicted by serious poverty, to be used to attract wealth. And this is why it is legendary and sought after by all who can afford even a small sliver of the wood or drop of the oil: it brings love, good fortune, and prosperity to those who take care of it and use it wisely. But is this actually true, or simply a fantastic tale passed down through the ages? We know that by skillful care taking, the trees are now bringing wealth to areas afflicted with chronic poverty. But is there indeed some subtle way that the molecules of the immunological resin from the heartwood of an endangered tree affect our brain chemistry, which in turn affects the flow of time and space within the synchronicity of our personal destiny? This is what the legends say, and what I have heard from many people along the way, but it remains a mystery.